Northumberland National Park covers an area of 405 sq miles. People have lived in the area of Northumberland National Park for at least 10,000 years. They have left behind many well-preserved physical traces, within the landscape, that can tell us about these people and their lives. Some of these remains are of national importance, so have been designated and granted special legal protection, this includes Listed Buildings for buildings and structures and Scheduled Ancient Monuments for archaeological sites. Other remains, while they are still important, may not have been designated in this way, but may be of local or regional significance. All these remains are a finite resource that once lost – are lost forever. Every year, English Heritage publishes the Heritage at Risk Register, a systematic review of the condition of all protected and designated heritage assets in the country, the condition they are in and the threats they face. All heritage assets are considered to be at risk to some degree, with those in optimal condition and no known threat considered to be at low risk. Heritage assets facing threats, or suffering from particular vulnerabilities, will be assessed as being at high or medium risk, depending on the type of site, their vulnerability, the threats they face and the management systems in place. This approach helps to raise awareness of our shared heritage, the risks and challenges that it faces and helps us respond more effectively to ensure our heritage survives for the benefit and enjoyment of present and future generations. Northumberland National Park contains 424 Scheduled Ancient Monuments (SAMs), archaeological sites that are of national importance and have been given special legal protection. Many of these are exceptionally well preserved, visible, upstanding features that contribute to the special qualities and character of the National Park. However, 55% of the SAMs within Northumberland National Park are currently rated at high or medium risk. To understand and manage these sites effectively, each SAM requires an up-to-date condition survey, which assesses the condition of the monument at a particular point in time, in order to identify the conservation needed to safeguard our heritage before it is lost forever. To find out more information about Heritage at Risk you can visit the English Heritage website. Many of the Scheduled Ancient Monuments within Northumberland National Park survive as upstanding remains. However, they potentially face many different threats, which, if not managed effectively, can cause damage to the monuments and the archaeological deposits and remains that they contain. Lack of awareness – ignorance is the greatest threat to archaeological heritage. When sites are damaged or neglected it is often not deliberate, but because people don’t know that sites are there, how important they are, or what actions or activities can cause damage. Burrowing animals – burrowing destroys archaeological evidence and information, and it disfigures and destabilizes earthworks. Erosion from livestock –livestock can damage archaeological remains by creating large scrapes or shelters in the earthworks and through trampling and poaching. Tree, scrub and bracken growth – vegetation obscures archaeological remains and makes them less visible and less accessible, and the roots from trees, scrub and bracken damage archaeological remains. Visitor erosion – visitors may damage a site simply due to the erosive force of the number of people, or sometimes they may cause damage to a site moving or removing part of the site’s structure. For example, removing stones from a stone cairn or rampart to create a walker’s cairn or waymarking cairn. Natural erosion and weathering –when the protective turf cover of a site has been broken the action of natural weathering can erode into earthworks and destroy archaeological deposits. What does a Heritage at Risk volunteer do? Who can become a Heritage at Risk volunteer? Anyone can become a Heritage at Risk volunteer, and we would like to involve as many people as possible. No previous experience or knowledge is necessary. The role may be particularly appealing to somebody who has an interest in the historic environment, history or archaeology; anyone who loves or has experience in the outdoors; anyone who wants to try something new, learn new skills or gain experience in historic environment conservation. Do I need any specific knowledge or skills to become a Heritage at Risk volunteer? Full training in all aspects of the role will be provided, so no previous experience or knowledge is necessary. Some skills or characteristics that people may already possess may be very useful, including, a love of the outdoors; an interest in the historic environment, history or archaeology; good map reading skills; and because many of Northumberland National Park’s SAMs occur in upland areas, a reasonable level of fitness is required. What training is given to Heritage at Risk volunteers? Full training in all aspects of condition surveying and monitoring SAMs is provided to all volunteers. This includes indoor theoretical sessions and outdoor visits to sites and practical sessions. Please see the Training section for more information. What support is there for available to Heritage at Risk volunteers? All volunteers will be supported throughout their involvement in the project by Northumberland National Park staff. Any volunteers who wish to expand or extend their role or involvement will be encouraged and supported in doing so. All project volunteers are an important, valuable members of the project team, will be treated as such at all times, and their feedback on the project is encouraged at all stages. How much time will being a Heritage at Risk volunteer take? All duties can be carried out alongside and to fit round other commitments, and volunteers can monitor or get involved with as many or as few sites or activities as they are able. There is no minimum or maximum commitment. 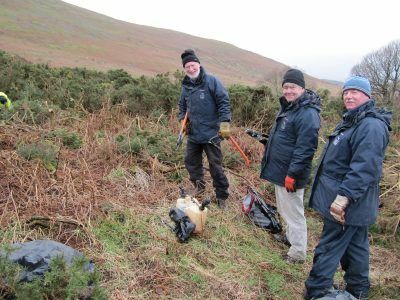 We have volunteers who monitor many different sites in many locations across the Park, and we also have volunteers who monitor the same two or three sites every year. The level of involvement and commitment is entirely up to you. Any time that you can offer is greatly appreciated, and all will be gratefully received. Why should I become a Heritage at Risk volunteer? 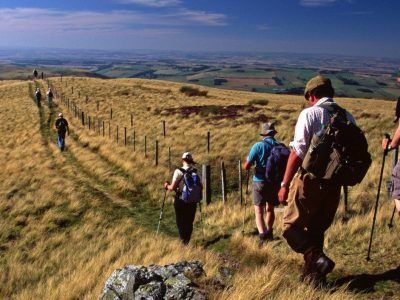 You will learn more about these important sites within the Northumberland National Park, and gain a new understanding and appreciation of the landscape. You will play a vital role in the conservation and preservation of these sites, ensuring their long-term survival for the benefit of present and future generations. You will learn new skills and gain valuable experience. You can explore the beautiful and inspirational landscape of the Northumberland National Park. How can I become a Heritage at Risk volunteer? To become a volunteer all you need to do is contact us at the National Park and register your interest, and we will then contact you to discuss the Heritage at Risk project further and arrange for you to attend a training session. For more information on the contact details, please click here. Alternatively, ring 01434 605555. Training is delivered as a mixture of indoor theoretical sessions and outdoor practical sessions and site visits, and supplemented by a training pack, which includes all relevant information and will be provided to all project volunteers. Training for Heritage at Risk volunteers is free, and is open to people of all background, ages and abilities. Training sessions can be arranged for groups at a suitable time and location, and can be tailored to suit particular groups with particular interests or specific requirements. If you are interested in becoming a Heritage at Risk Volunteer and would like more information, or would like to book on to a training session, please click here. What is Heritage at Risk? English Heritage published the first national Heritage at Risk Register in 2008. It involved a systematic review of the condition of all problem buildings. Since then it has expanded and now covers all types of heritage asset. The Register is published annually as a national register and as a series of regional registers. All heritage assets are considered to be at risk, with those in optimal condition and no known threat considered to be at Low risk. Heritage assets facing threats or suffering from particular vulnerabilities will be assessed as being at High or Medium risk, depending on the type of site, their vulnerability, the threats they face and the management systems in place. The Heritage at Risk concept helps to raise awareness of our shared heritage, the risks and challenges that it faces and helps us respond more effectively to ensure our heritage survives for the benefit and enjoyment of future generations. Reduce the number of SAMs in the National Park that are at High and Medium Risk. What is a Scheduled Ancient Monument? A Scheduled Ancient Monument (SAM) is a site that has been given special legal protection because it is recognised as a nationally important site. Scheduling is the only form of legal protection designed specifically for archaeological sites, and makes certain activities illegal without Scheduled Monument Consent. For example, under the Ancient Monuments and Archaeological Areas Act 1979 it is a criminal offence to destroy or damage a Scheduled Ancient Monument; or execute, cause or permit any works that could damage, destroy, demolish, remove, alter, repair or add to a SAM without specific consent. 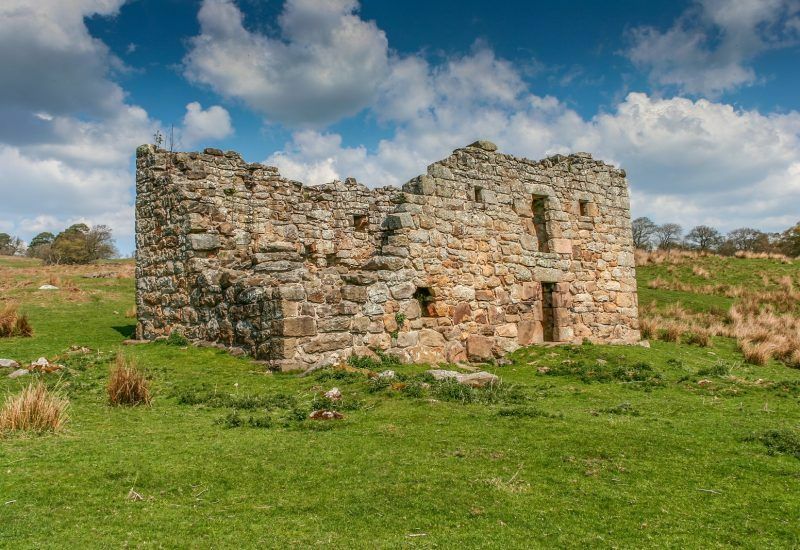 What is so special about the Scheduled Ancient Monuments within the Northumberland National Park? The Northumberland National Park covers an area of 405 sq miles, and it contains a unique, complex and well preserved historic and prehistoric landscape. People have lived in the areas that now make up Northumberland National Park for at least 10,000 years, and they have left physical remains of their presence behind, many of which are visible in the landscape. The Northumberland National Park contains 424 Scheduled Ancient Monuments, many of which are exceptionally well preserved and survive as visible, upstanding landscape features and archaeological earthworks, contributing to the special qualities and character of the Northumberland National Park. The term archaeological earthwork can cover a whole range of monuments, but can be generally defined as an archaeological context or group of contexts that are expressed on the ground surface as either a mound or as a hollow (Rimmington 2004). Why are archaeological earthworks and Scheduled Ancient Monuments so important? they are often also important ecologically (Rimmington 2004). What makes earthworks and Scheduled Ancient Monuments vulnerable? Condition monitoring is a type of survey, which assesses the state of a monument or earthwork at a particular point in time by conducting a field visit to the site. It involves the collection of evidence concerning the current state of the monument by the production of a survey form, sketch plans and photographs. How does condition monitoring help? Only through monitoring sites and identifying the threats, issues and vulnerabilities they face can effective management and conservation steps be taken. Up-to-date and accurate records of a monument’s condition, and how this is changing over time, are essential for a monument to be fully understood. Unless a monument is fully understood effective and appropriate management and conservation actions cannot be implemented. Monitoring helps to ensure that resources are focused and prioritised on the sites and monuments most in need and are used effectively, and to assess the success and effectiveness of management techniques or protective measures put in place. Why is it important to conduct condition surveys on the Scheduled Ancient Monuments within the Northumberland National Park? In order to manage the landscape of the National Park successfully, for the present and for the future, it is important to fully understand the past. Condition monitoring and surveying of the SAMs within the National Park makes a vitally important contribution to increasing our understanding of the past, and greatly assists in the management of such sites and the wider landscape, ensuring the our heritage treasures are valued and preserved for future generations to enjoy. 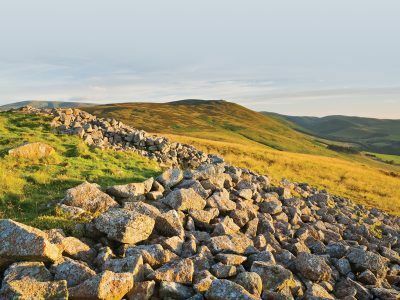 Who conducts Condition Monitoring of the Scheduled Ancient Monuments within the Northumberland National Park? Condition Surveys of SAMs within the Northumberland National Park are carried out by trained Heritage at Risk volunteers. Anyone can become a Heritage at Risk volunteer and help look after these special, nationally important sites. To find out more about being a Heritage at Risk Volunteer click here. There are a number of publications available that detail different types of damage and threats to archaeological sites, and how to manage archaeological remains effectively (see list below). You can also find more information about Heritage at Risk on English Heritage’s website. English Heritage (2003) Ripping up History. Archaeology under the plough. Forestry Commission (2004) Trees and Forestry on Archaeological sites in the UK. Oxford Archaeology (2009) Nighthawks and Nighthawking. Damage to Archaeological Sites in the UK and Crown Dependencies caused by Illegal Searching and Removal of Antiquities. Natural England (2008) Bracken management: ecological, archaeological and landscape issues and priorities Technical Information Note TIN047. Rimmington J N (2004) Managing Earthwork Monuments. A guidance manual for the care of archaeological earthworks under grassland management. Helping people access the countryside.